Beast Kingdom introduces the Armored Batman uses in his fight with Superman in Batman V Superman: Dawn of Justice. This proportional figure has 30 movable joints, confidently recreating heroic poses from the movie. 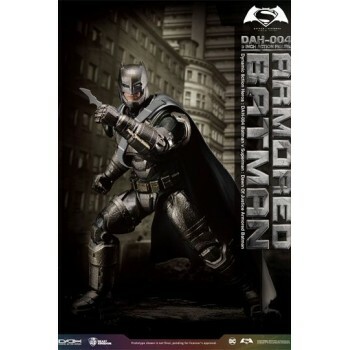 With highly detailed, faithful design and careful professional painting, the enhanced Batman Armor is complete. 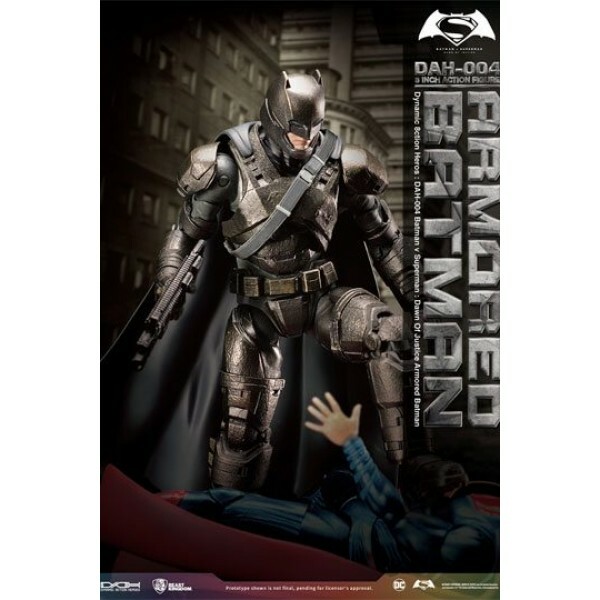 Detailed aging of the suit and parts recreates the Batman who could go toe-to-toe with Superman in the movie. 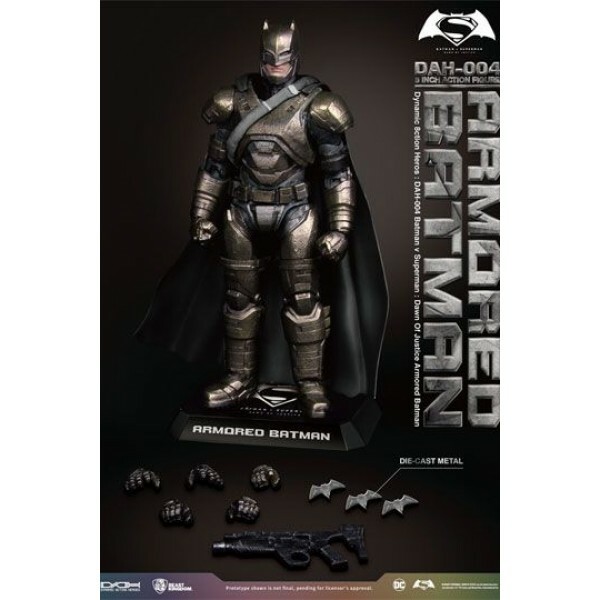 Comes with Batman's special weapons-the Grenade launcher and Batarangs (which is made of diecast material), allowing you to recreate Armored Batman's heroism from the movie. To battle Superman, you'll need all your resources! Come to Beast Kingdom to pick up the D.A.H. 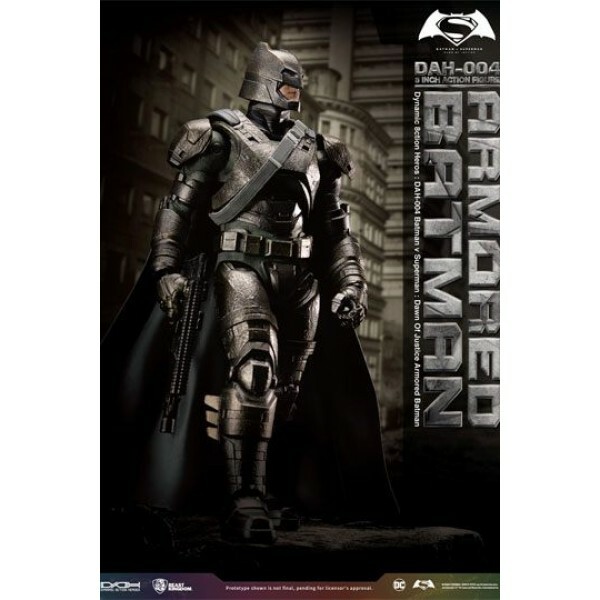 series Batman V Superman: Dawn of Justice-Armored Batman figure.